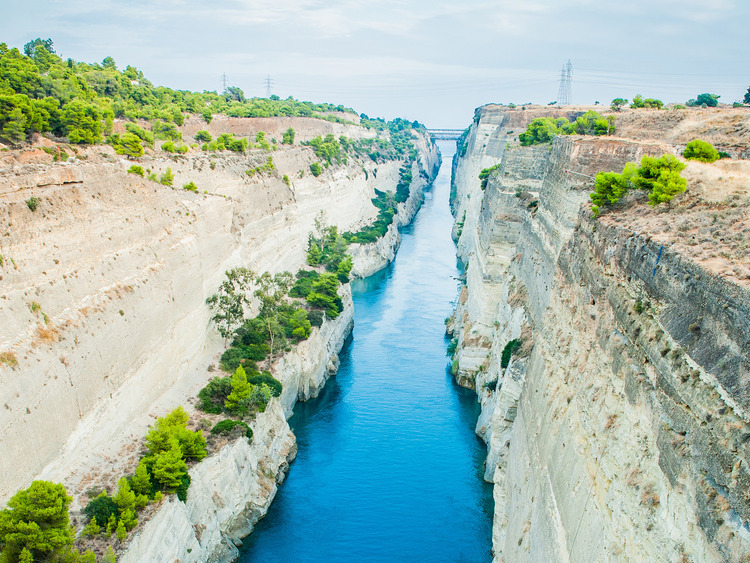 A unique opportunity to admire the great Corinth Canal, an idea which dates back to the times of the Roman which was developed up until the nineteenth century, and the remains of ancient Corinth which stuns with the famous Apollo Temple. We will leave the port and by coach, arrive at the Corinth Canal: it is 6 kilometres long, 23 metres wide and 8 metres deep, with sloping sides that reach 80 metres in height. The idea of building a canal to cut across the isthmus linking the Ionian and Aegean seas dates back to Roman times, when Emperor Nero ordered the first excavations using silver shovels and Jewish slaves. It was only in 1881 that technology was good enough to "cut" the isthmus. We may get lucky and see a ship passing through the strait: such a sighting is sensational and is definitely worthy of a photo! We will leave the canal behind and visit Ancient Corinth, described by Saint Paul as "rich and licentious". Protected by a powerful fortress, the city had a forum which was bigger than the one in Rome, with temples, theatres, baths, fountains, shops and basilicas. Before hopping back on board the coach, we will treat ourselves to the majesty of Apollo's Temple: a splendid example of the Doric style of the 6th Century B.C. The transfer from the port to Corinth Canal takes about 1 hour and 30 minutes.